Home Win 500$ for your semester in Prague! Rules for the competition appearing on the University of New York in Prague’s Study Abroad in Prague Facebook timeline. 1. 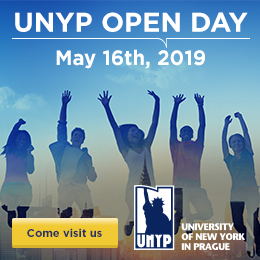 The organizer of the content appearing on the University of New York in Prague’s Study Abroad Facebook page is the University of New York in Prague, s.r.o., which is headquartered at Londýnská 506/41, Vinohrady, 120 00 Prague 2, and registered in the Commercial Register maintained by the Municipal Court of Prague, Section C, in File No. 60,332 (henceforth known as the “Organizer”). 1. The contest will last from February 13th, 2019 to March 15th, 2019. 2. The contest is open to Facebook users who are 15 or older for the duration of the contest and reside in the United States of America. -Complete the sentence: “I want to Study Abroad because ___________." 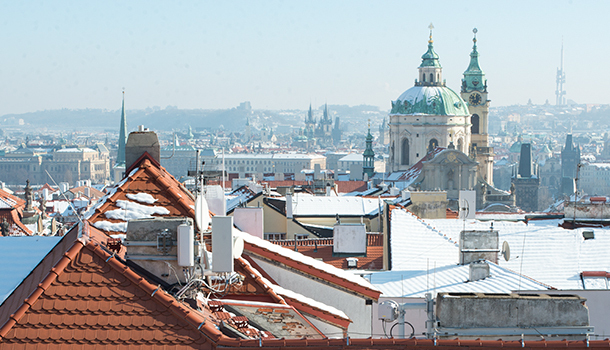 How to live in Prague on a student budget? 4. Comments with the most likes win. 5. Each contestant can participate in this competition only once. Anybody who enters the contest more than once will be disqualified from the competition. 1. There will be three winners (1 winner per post). 2. Using The Good Luck Fairy service we will identify the comment with the most number of Likes, under each of 3 posts. 3. Winners will be announced on Friday, March 8th. The announcement will be posted on the Study Abroad Facebook page and the winners will be contacted via FB. 4. If the contestant doesn’t claim victory within 14 calendar days, the prize will be forfeited to the organizer. 1. The winning contestants will be advised regarding how to claim their prize by email. 4. The prize for the competition is a 500 USD contribution which is to be used for the semester abroad at the University of New York in Prague. 2. In accordance with the Act no. 101/2000 Coll., in the Law on Protection of Personal Data, as amended (henceforth the "Act on Protection of Personal Data"), each contestant grants the organizer consent to the inclusion their personal data and information located on the organizer’s Facebook page, for example personal data shared by the participant with the organizer during the contest such as their name, surname, permanent address in the United States i and e-mail address (henceforth referred to as “data”), and further in the database of the organizer and its subsequent processing by the organizer for the purpose of evaluating the competition, publishing the results of the competition, for marketing and PR purposes of the organizer, ie. offering products or services, including sending information through electronic means according to Act no. 480/2004 Coll., and in order to prove consent to the processing of personal data for these purposes for an indefinite amount of time as well as the fact that these data can be associated with other data. Contestants acknowledge that according to § 11 and § 21 of the Act on Protection of Personal Data, they have the right to rescind their consent at any time without penalty by contacting the organizer listed in these rules as well as have the right to access their personal information and change the information, block incorrect information, delete the information, etc. 3. The organizer will administer the personal data in electronic form. The organizer will arrange the protection of personal data. 6. If the contest winner does not accept the prize, the prize will go to the contestant, leaving a comment with the next highest amount of likes. 7. We will remove offensive comments from the Study Abroad page timeline and disqualify them from the contest.